At TechCrunch Disrupt NY 2013 two weeks ago we got to spend some time with Minoj Shinde one of the three co-founders of 3 Other Things. Their Mumbai based startup is tackling the bridge between off-line and online shopping experiences, a nut many startups here and overseas are hoping to crack. The divide between online and offline retail is much larger than we, as consumers in the United States, are led to believe. For instance, in India, where 3 Other Things is based, the divide is 97% off-line retail. In the U.S. it’s actually a whopping 80% offline retail. For retailers to be extremely effective, to drive more traffic to their brick and mortar sites, and their websites, they need to consider both customer subsets. Something that Shinde has been observing over the last 14 years. By combining the powers of a social network, with a “wish list” feature and customer profile, retailers in the lifestyle, clothing and home decor categories will have one resource to work from that provides a robust snapshot of their customer base. Not only that but 3 Other Things will provide retailers with true customer data with the things that the customer wants and not just algorithmic fluff. Shinde says that 3 Other Things really comes in handy in non urban centralized areas. For example, some of the stores his family likes to shop at are nearly an hour away from their home. Naturally, investing the time and money into traveling to the store just to find they are out of what they are looking for is a big turn off. 3 Other Things allows users to create a wish list of the products that they actually like. The user can than let the individual retailers know an approximate time of when they will be in their store and the store can come back and say whether or not they have that inventory. Unlike other systems in a similar space, a store clerk using 3 Other Things will physically find or locate an item to insure it’s correct, providing for another level of customer service, that’s often recognized by repeat business. The social network portion of 3 other things allows likeminded users to share ideas and tips. For instance I like t-shirts with cool designs on them, while Shinde prefers more business casual dressier shirts. I can tell Shinde, using 3 other things, that I saw the perfect shirt for him at a specific retailer and then he can add that shirt to his wish list. The retailer can then market to both of us more effectively. In the video below with Shinde, we talk a bit about Mumbai’s up and coming startup scene. Watch the video and check out the next disruption in off-line/online retail. 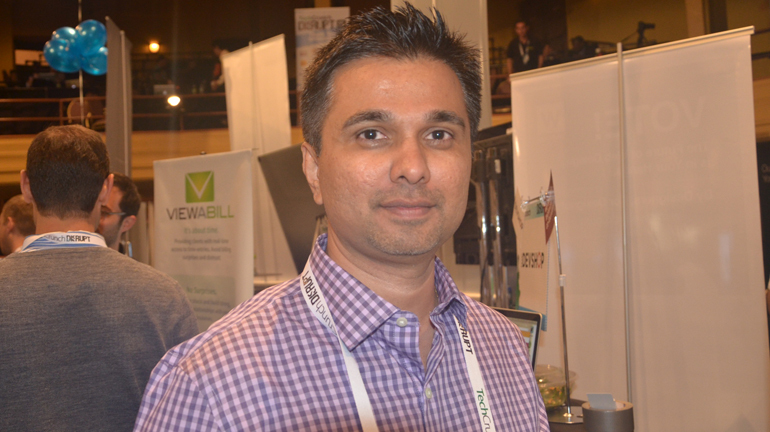 Now check out these other 35 startup stories from TechCrunch Disrupt NY 2013.